This post is the first of a three-part series about daylighting. First, we’ll review some daylighting basics and look at the various metrics used in common building codes and green building standards. In part two, we’ll look at the simulation methods used in achieving these goals. And finally, in part three, we’ll share the results of our “DIVA bake off”, a simulation competition (of sorts) occurring between several architectural offices. Here in New Orleans, the heat of the sun is often the enemy of interior thermal comfort, so we try to keep it out. Instead of blocking it entirely, we must still consider visual comfort in tandem with thermal comfort. To do that, daylight design should be a major part of our schematic design process. Below is a photo of our team in a daylight design training. We learned how to calculate daylight according to various standards (as we’ll do here) and looked at preliminary daylight modeling in DIVA for Rhino and Grasshopper (as we’ll do in part two). Do you know the difference between illuminance and irradiance? Daylight training lunch at EDR, September 20, 2017. Answer: Illuminance is a measure of brightness perceived by the human eye, measured in lux (lx) per m2. Irradiance is a measure of the power received by a surface, measured in W/m2. Fun fact: Similar to the way we evaluate the efficiency of electric lighting fixtures, different sky conditions (ie clear vs overcast) deliver different luminous efficacies (the ratio of luminous flux (in lumens) to power (watts)). This value represents how well a light source converts energy to electromagnetic radiation (visible light). It also changes based on the solar altitude where efficacy tends to increase at higher solar altitudes (Littlefair 1988). (Solar altitude refers to the height of the sun in the sky which is affected by both latitude and time of day). In simplest terms, the sun is a more efficient light when it’s highest in the sky and on a cloudy, it takes more energy to achieve the same light levels as on a perfectly sunny day. Now let’s take a look at how daylight is evaluated according to different codes and green building standards. The American Society of Heating, Refrigerating and Air-Conditioning Engineers (ASHRAE) publishes sets of standards that are widely referenced by building codes. ASHRAE 90.1, The Energy Standards for Buildings Except Low Rise Residential Buildings and is most commonly referenced as the code minimum (baseline) condition for building performance. ASHRAE 189.1 is the Standard for the Design of High-Performance, Green Buildings Except Low-Rise Residential Buildings. Some owners, including our Georgia Tech client, require projects to meet ASHRAE 189.1, going above and beyond 90.1 minimums. Both standards offer two paths to compliance: the prescriptive or performance option. ASHRAE 90.1 (2013) identifies daylit area as “the floor area substantially illuminated by daylight”. In order to calculate daylit area, the standard offers a one-size-fits-all approach based on window locations and building geometry. For example, the width of sidelit area is calculated by the width of vertical fenestration plus the smaller of “one half the vertical fenestration head height” or “the distance to any 5 ft or higher opaque vertical obstruction”. The depth is then determined by the “horizontal distance perpendicular to the vertical fenestration which is the smaller of one vertical head height or the distance to any 5 ft or higher opaque vertical obstruction”. Similar assessments are offered for toplit areas, however glare and overlighting are not considered. 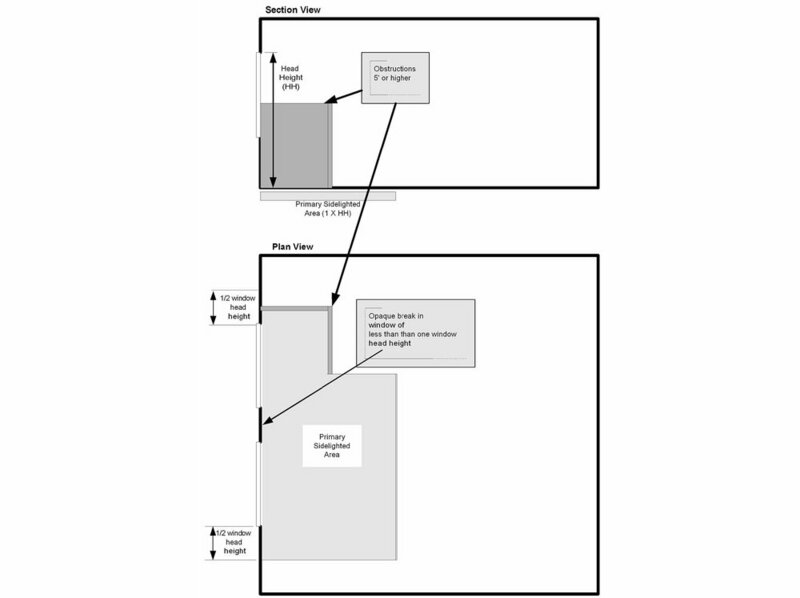 Figure 3.2-3 (from ASHRAE) Computing the primary sidelighted area. Climate Based Daylight Model (CBDM), coined by Mardaljevic in 2006 is defined as “any evaluation that is founded on the totality (i.e. sun and sky components) of time-series daylight data appropriate to the locale over the course of a year.” This type of modeling accounts for many of the influences on interior illumination levels over time. This type of moderling improves on the predictive performance of historical metrics, such as Daylight Factor (DF). (Daylight Factor: the ratio of the light level inside a structure to the light level outside the structure using a overcast sky condition. IES LM-83 outlines two CBDM results, Spatial Daylight Autonomy (sDA) and Annual Sunlight Exposure (ASE). Issued by the Illuminating Engineering Society (IES), it is used increasingly by green building standards, such as LEED v4 and WELL. Here’s an example of a DIVA simulation for a preliminary design strategy (no interior blinds modeled). Look at all that overlighting! 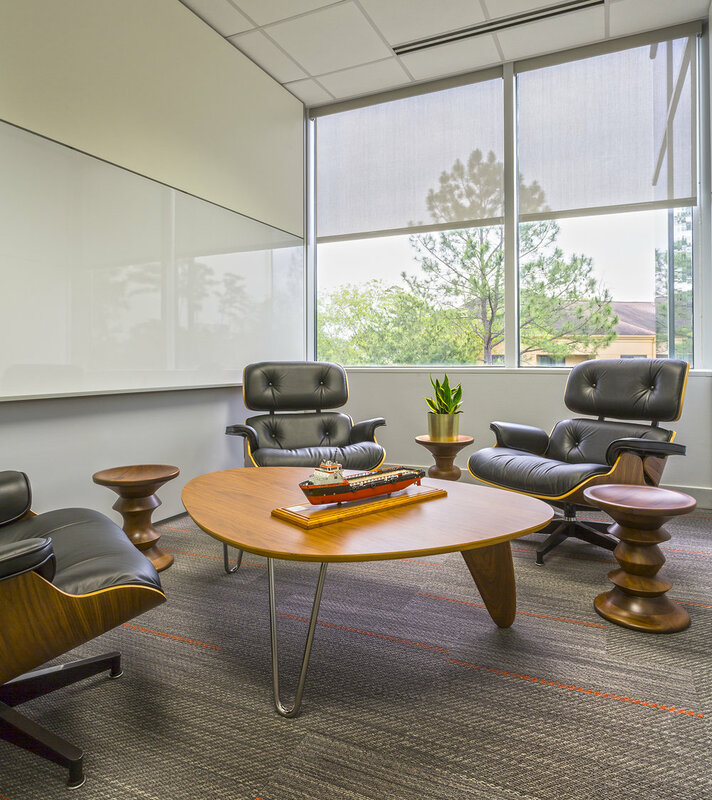 (Note that manual or automatic glare-control devices are required for all regularly occupied spaces per LEED). sDA measures the percentage of floor area that receives adequate sunlight. It is commonly written SDA300,50% XY% to say that XY% of the floor area meets or exceeds 300 lux (28 fc) for at least 50% of the year. ASE measures the percentage of floor area that receives too much direct sunlight. It is most commonly written ASE1000,250 < 10% which means that no more than 10% of regularly occupied space can receive more than 1000 lux (93 fc) of direct light for more than 250 hours each year. sDA and ASE will always be reported together as it is essential to find a balance between these two metrics. Like thermal comfort, visual comfort can be incredibly subjective. The sDA and ASE metric is one path towards standardizing the simulation and analysis processes to define tangible target values. It is entirely possible that a space does not claim LEED or WELL points for daylighting, but is still a lovely and well daylit space. Littlefair, P.J. 1988. “Measurements of the Luminous Efficacy of Daylight.” Lighting Research & Technology 20 (4): 177–88. doi:10.1177/096032718802000405. Mardaljevic, J., L. Heschong, and E. Lee. 2009. “Daylight Metrics and Energy Savings.” Lighting Research & Technology 41 (3): 261–83.